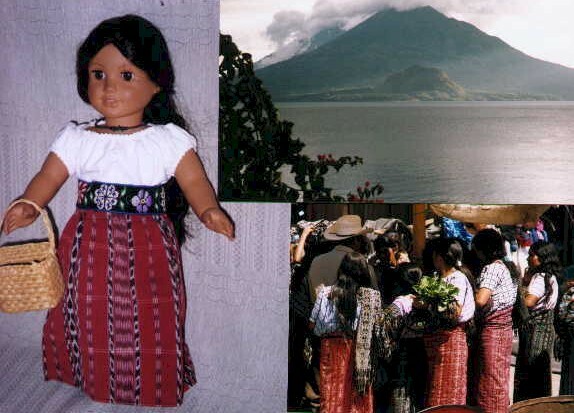 Todos Santos Doll Huipils & Outfits - See below for some of the doll-sized huipils (blouses) and outfits we have available from Todos Santos Guatemala. You may also want to check out our Child and Adult huipils from Todos Santos. . Each doll huipil is pieced and sewn from a large used huipil by Andres and his wife and brother. The 3-piece outfit (traje) includes the huipil, a matching skirt and belt.